Paul Bojarski came up with the basic principles for co-viewing technology, Watch Together, while heading up MTV’s ad operations in Buenos Aires. “It was the World Volleyball Championships and I was on the phone to my dad who was watching the same game in London, and we opened up Skype to watch the same match together,” he recalls. Four years later and the fledgling B2B is now working with BT Sport, after winning the broadcaster’s Infinity Lab Innovation Challenge, an annual UK-based event for start-ups and entrepreneurs. The initial technology was created in Israel in 2015 after Bojarski, inspired by the country’s hotbed of tech start-ups, attended an event there and met Aharon Yechezkel, who built up the technology and is still the firm’s CTO. 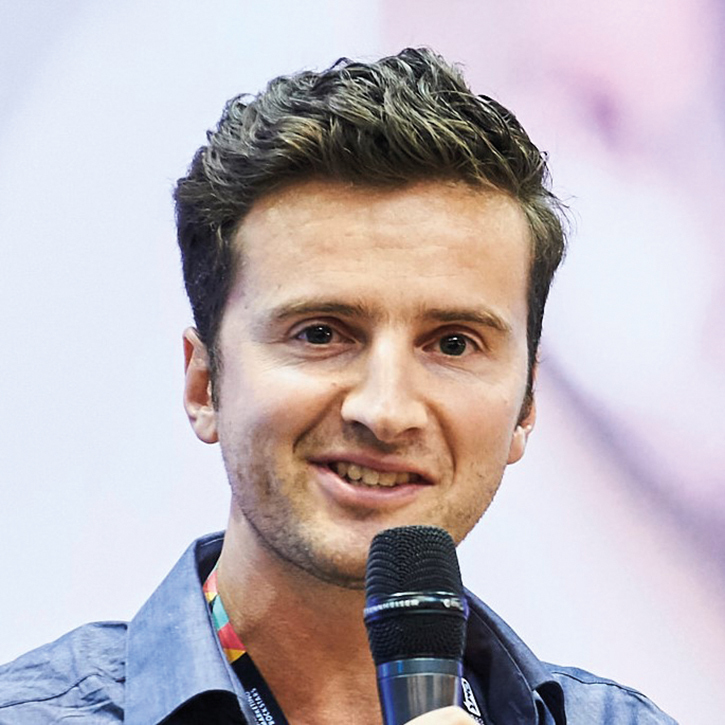 Bojarski then embarked on a “tough three-and-a-half-year journey”, as he and his co-founders set up a consumer platform called SayYeah. By May 2016, Bojarski met with the board, presented the company’s traction and examined alternate routes to market. The new company, Sceenic, was founded as a B2B venture that sees the firm offer the software as a white-label app, with an SDK and an API enabling clients to integrate Watch Together into their own services. Along the way, Bojarski claims the company has perfected a web-based SAAS application that syncs video chats with live video streaming via OTT, as well as via satellite and cable broadcasts. Sceenic is currently working with BT Sports on the channel’s mobile-to-mobile viewing platform, while a UK cable operator is poised to sign up for a trial shortly. European esports company We Love Gaming is also a client, and the e-gaming community, whose users have grown up with live chat, appears a natural fit for the technology. “We’ve also had some interest from [esports organiser] Rogue, based in the US, but with the sport in its infancy everyone is still trying to figure out business models,” says Bojarski. A revenue share instead of the standard licensing model may be one solution, he adds. Another potential source of revenue is from OTT players, although Bojarski points out that any deals would need to be done through set-top boxes and consumer electronics manufacturers selling on the software to their app partners. This year’s release of the Facebook Watch Party feature, which lets groups watch video together, could be the incentive that manufacturers and other social media platforms need to partner with Sceenic. “Facebook is their competitor, so it’s helping our business. Users around the world will become familiar with these functions. So long as there is this competition, I have something to sell,” Bojarski says. The software comes with a back end analytics engine and dashboard, with Sceenic recently releasing some co-viewing data that reveals on average two or three people are watching together via OTT and TV, while larger groups of between four and six are gathering for esports. As the start-up primes itself for another big seed round of London-based investors (R/GA Ventures and NMA were early backers), Bojarski says he hopes to eventually expand the ‘Watch Together’ concept into a “complete togetherness” SDK and API. “There’s no reason why we shouldn’t also be listening to music together or working out together,” he adds. And what about volleyball, the sport that inspired him to launch the company in the first place? It transpires that Bojarski is also in talks with IMG, the company that runs the subscription-based app for volleyball OTT platform VBTV (run by the FIVB), bringing the father-son co-viewing journey full circle. This article originally appeared in the December 2018 issue of FEED magazine.